ePosters - Circulating Oxidized Mitochondrial DNA is an Index of Pyroptotic Cell Death in Patients with Myelodysplastic Syndrome. 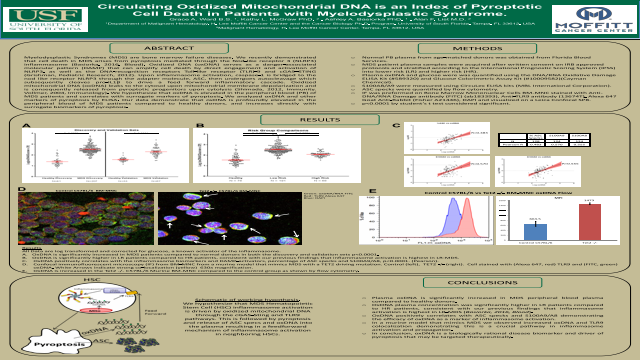 Poster Title: Circulating Oxidized Mitochondrial DNA is an Index of Pyroptotic Cell Death in Patients with Myelodysplastic Syndrome. Author(s): Grace A. Ward B.S., Kathy L. McGraw PhD., Ashley A. Basiorka PhD., Alan F. List M.D.